Salt and sugar share many properties. Both are crystalline in structure, in some forms are colorless and odorless and both are flavor enhancers. Both have antimicrobial properties that have been recognized as effective in the treatment of wounds and illnesses and the preservation of foods since ancient times. 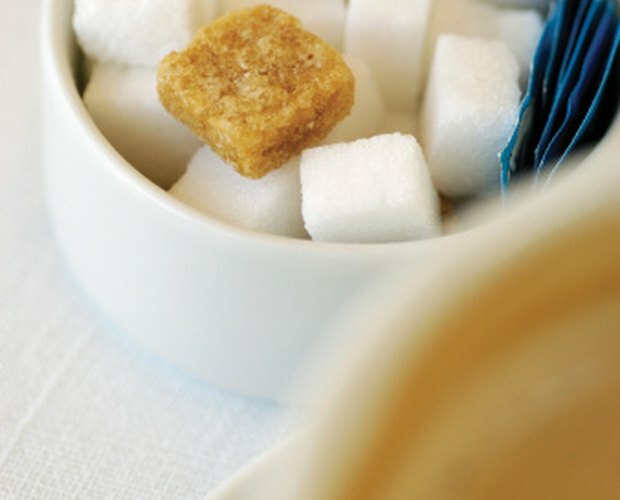 The production of both sugar and salt makes them major industries in both the United States and abroad, with millions of tons of both products being produced -- and consumed -- annually. 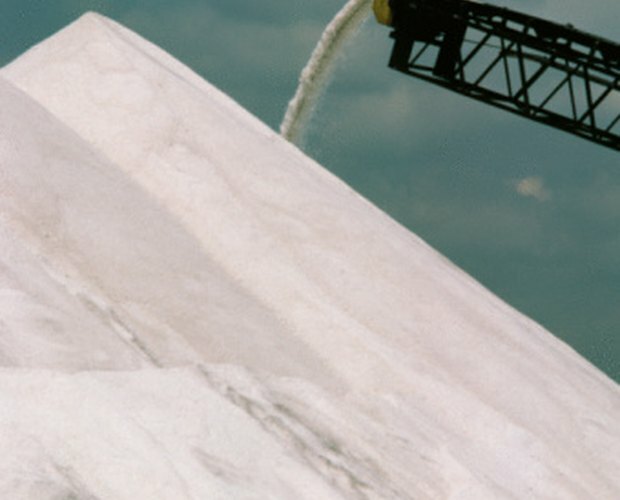 Salt is a crystalline structure, a compound of the elements sodium and chloride. Chemically it is present in many different forms besides common table salt (NaCl). 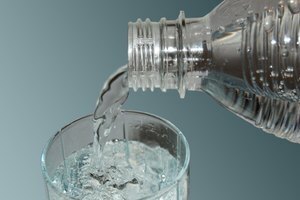 It is highly soluble in water and lowers the freezing point and raises the boiling point of water when dissolved in it. Salt is found in colors ranging from colorless to white, gray and brown. 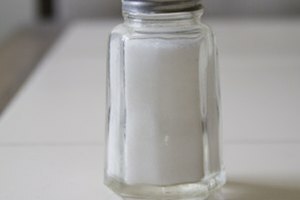 Salt is the most abundant mineral on Earth. In fact it is so abundant that its supply is considered inexhaustible. 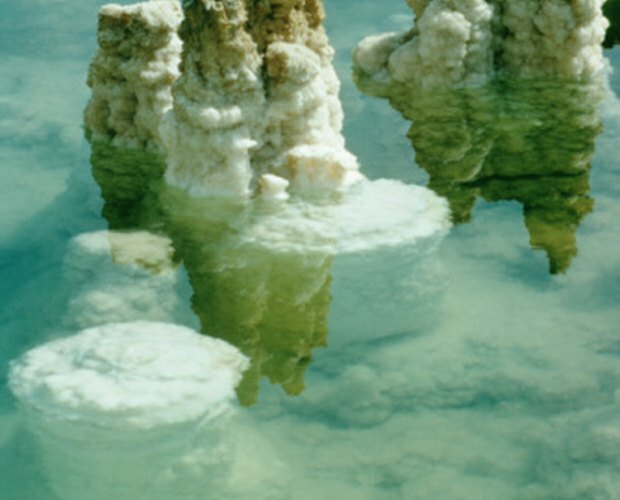 Mined from deposits all over the Earth as halite or harvested from the world's oceans and saltwater lakes, worldwide consumption is estimated at 240 million tons annually. Sugar (sucrose), like salt, is a crystalline structure. It is present in all fruits and vegetables as a carbohydrate and is produced during photosynthesis. It is harvested for sugar production from sugar cane, sugar beets, sorghum and the sap of the sugar maple tree. It is also present in honey. After it is harvested from plants its processed into different colored and flavored sugars that are both solids and liquids, including granulated, brown, powdered, raw, molasses and golden syrup. Adding sugar to liquids lowers their freezing points and raises their boiling points. Sugar has been used to heal wounds for thousands of years. Worldwide, we consume 168 million tons of sugar each year. Brazil is the top sugar producer. There are a variety of salts. Kosher salt is mined and collected from the sea and is usually seen in craggy crystals that are excellent for curing meat and cooking. 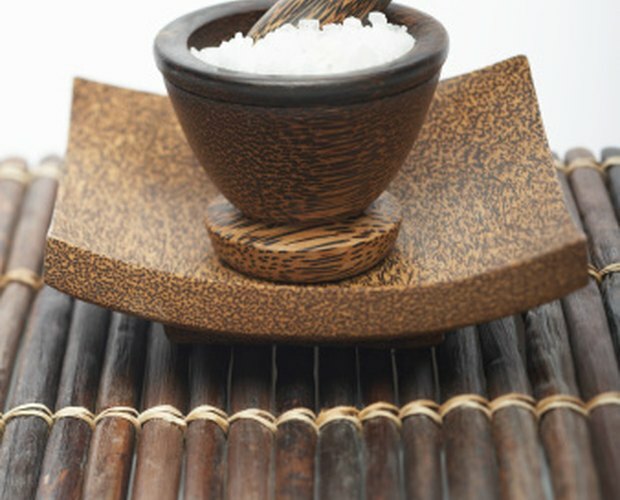 Sea salt is collected along seacoasts around the world and is used in cooking. Flaked, or Maldon, sea salt is collected along England's Essex coastline and is used in cooking to give foods a distinctive briny flavor. Fleur de Sel (French for "flower of salt") is collected by hand in coastal sand ponds in France. Rock salt is mined and is not used for consumption. It is valued for its deicing ability. Picking salt, which is mined and collected from saltwater sources, is the purest form of salt and is used as a preservative. 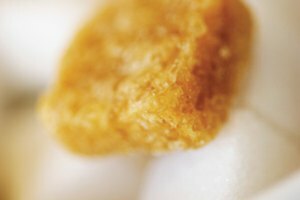 Sugars can be divided into white and brown, which depends on how much they have been refined and whether they contain molasses. White sugar is available as table sugar, powdered sugar—which is ground fine and sifted with corn starch added to prevent caking—and fruit sugar. Brown sugar is available as light or dark, with Barbados/Muscavado having a strong molasses flavor, and Demerara and Turbinado having a lighter color and flavor. 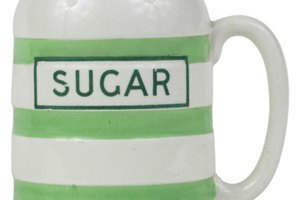 Sugar can also be found in liquid form after it has been dissolved in water to produce sugar syrups. Michigan resident Mary Simms began her journalism career in 1985 as a Foreign News Desk sub-editor at "The Japan Times," one of Tokyo's English-language daily newspapers. In the U.S., Simms has worked as a reporter, business magazine writer and copy editor. She was awarded a Master of Arts in area studies/Near East in 1983 at the Monterey Institute of International Studies.